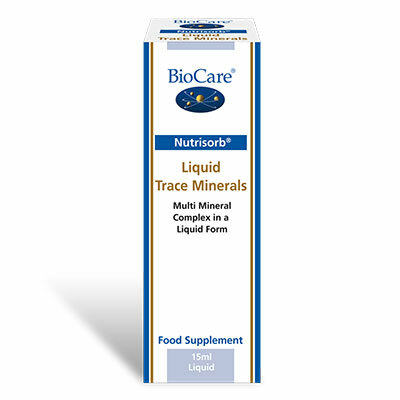 BioCare Vitasorb Folic Acid is a micellised preparation of Folic Acid incorporating BioCare’s unique Vitasorb process for maximising absorption efficiency. SKU: BIO28915. Categories: Folic Acid, Liquid Vitamins & Minerals, Nutrisorb & Vitasorb Range. 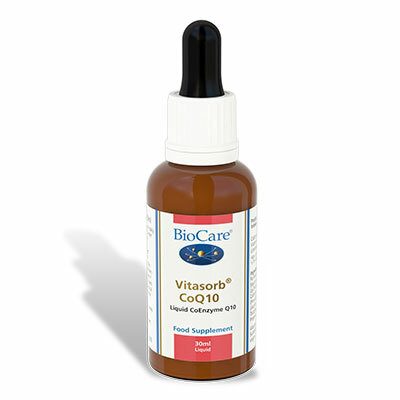 BioCare Vitasorb Folic Acid is a micellised preparation of Folic Acid incorporating BioCare’s unique Vitasorb process for maximising absorption efficiency. Micellised vitamins are absorbed more efficiently than other forms of nutrients and are therefore required in lower doses. 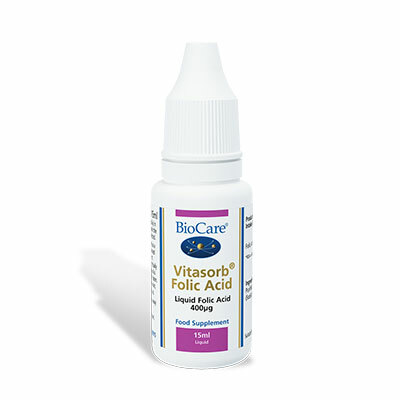 Vitasorb Folic Acid can be taken sublingually (under the tongue) or added to water, fruit juice or milk. Ideal for individuals who have trouble swallowing capsules or tablets or who have malabsorption problems. Two drops taken daily in water, juice or milk with food or taken directly under the tongue, or as professionally directed. Do not exceed government guidelines of 400 mcg per day if pregnant or if pregnancy is being planned or consult your doctor or nutritionist for condition specific advice.